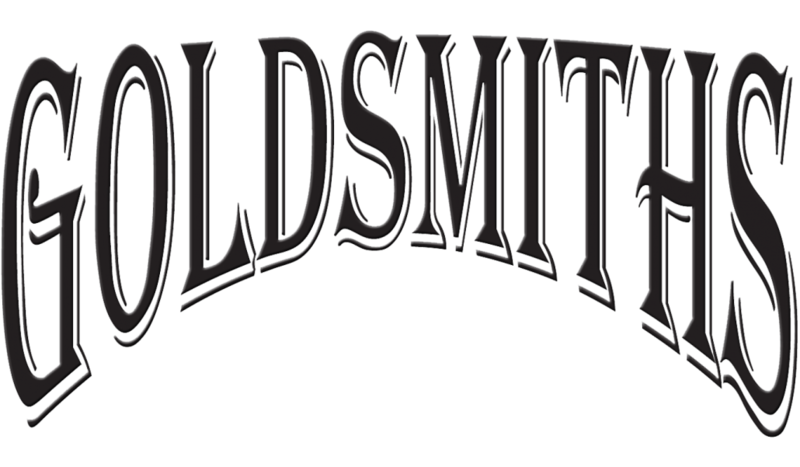 3 LINE CUSTOM GENTS RING – The Goldsmiths Ltd. Custom 14k white gold gent’s ring is made of three lines of high polished gold, between each a recessed stardust effect of white gold. 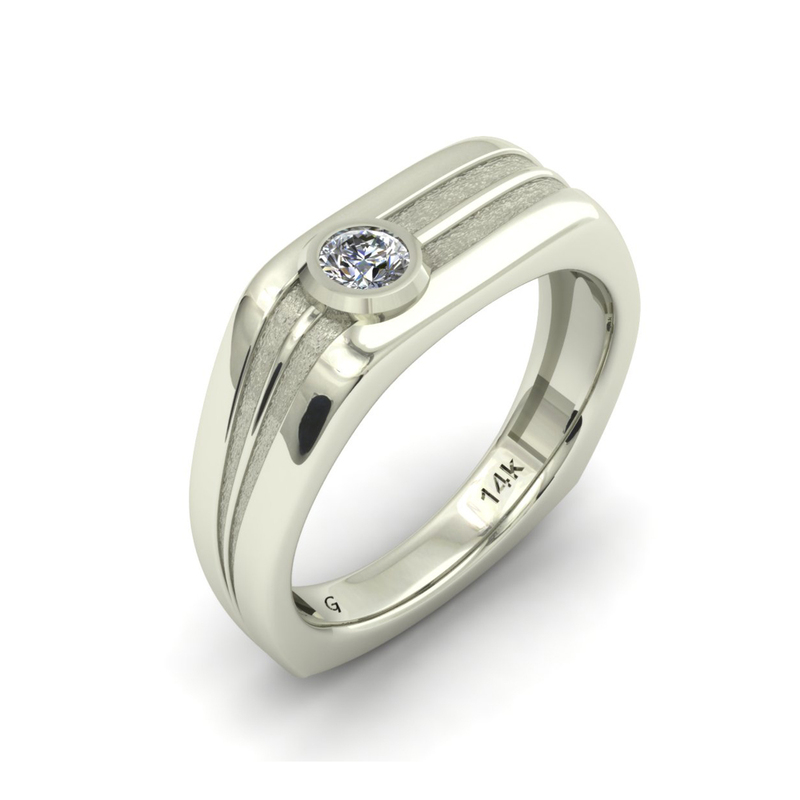 A bezel set brilliant round diamond is offset on the flattop of the ring.